32-year-old Yujing Zhang lied to the Secret Service about why she was at Mar-a-Lago. 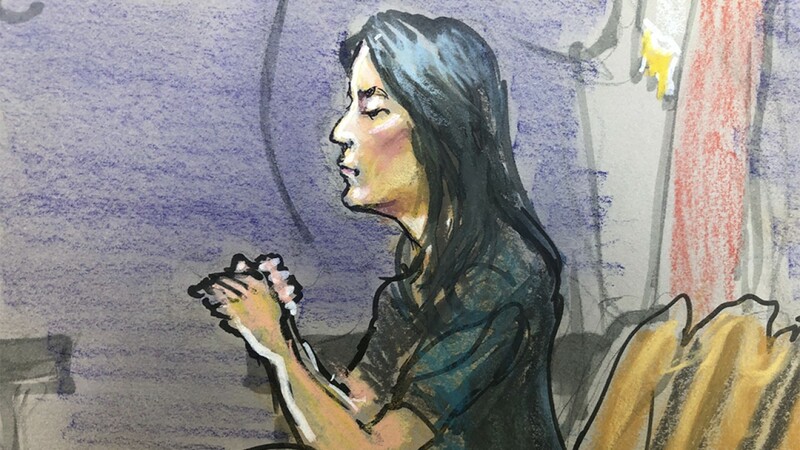 WEST PALM BEACH, Fla. - The defense attorney representing a Chinese woman arrested for allegedly gaining admission to Mar-a-Lago released evidence through a federal court records system. Yujing Zhang, 32, was arrested in late March after Secret Service agents say she lied to get into President Donald Trump's club in Palm Beach. A public defender representing Zhang introduced several pieces of evidence in her bond hearing on Monday, including photos of a man named Charles. Zhang claims Charles contacted her over WeChat, a Chinese messaging and social media platform, about attending an event at Mar-a-Lago. Investigators alleged Zhang told agents she was attending a United Nations Chinese American Association event that evening, an event that didn't exist. The photos show a man named Charles with the United Nations Chinese Friendship Association. Zhang's defense attorney presented a receipt to the court, claiming she paid the equivalent of just over $20,000 to Charles to attend the event. This was Zhang's fifth trip to the United States. Her attorney pointed out that passports records show prior visits in July 2016, January 2017, December 2017 and September 2018. At Monday's hearing, Zhang's attorney raised questions about how she was able to gain access to Mar-a-Lago, after a staff member at the club said Zhang was the last name of a member. He noted that Zhang is one of the most common surnames in China, and entered into evidence an article that supported his position. Zhang's bond hearing was adjourned until next Monday, April 15, she will be held on temporary pretrial detention with no bond until then. Her arraignment is also scheduled for next Monday.